Jason Joseph, born and raised in Oakland, CA, has always had a passion for health and fitness. His interest and love for athleticism combine well with his sense of team and constant desire to help others. All of these factors have been driving factors in his life and career pursuits. In the early 90’s, Jason strongly committed to physical wellness through weight lifting. During that time, however, he continued to look for a means of combining health and community. His search for the perfect merger of fitness and service was realized when Jason found Muay Thai. 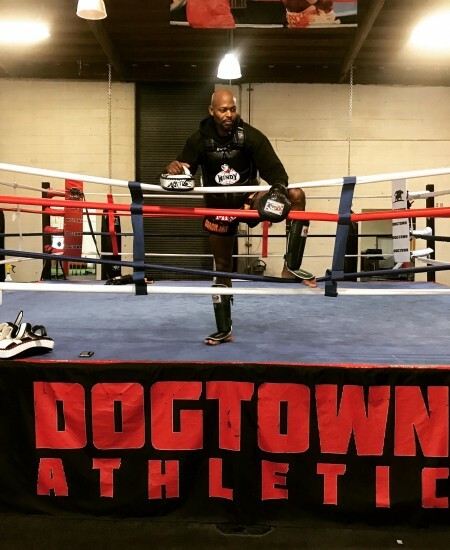 Jason began his Muay Thai practice at Pacific Ring Sports in 2005, while also establishing his own strong personal training program. In Muay Thai, he found the sweet spot between beauty and toughness. He grew strong in his practice with the guidance of trainers Mike Reignier, Coke Chunhawat and De Pooler and competed seven times. 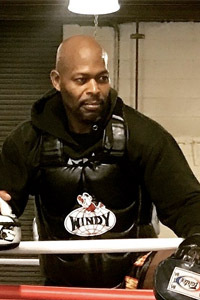 He was also fortunate to work alongside and to learn from Ganyo Arunleun, the driving force behind Fairtex Muay Thai Gym, and Roberto Garcia, former Filipino boxing champion who has also coached many champions himself. Jason loves what he does, and it is evident from the first moment you meet him. He is incredibly devoted, positive, helpful and approaches all he meets with a smile. He takes his students’ and clients’ fitness seriously. He caters his personal training to the client’s desires, whether it be boxing, Muay Thai or strength and conditioning focused. His Muay Thai classes are perfect for any level as Jason’s 10+ years of experience have given him the skills to support and challenge anyone. He coaches through strong modeling and clear communication. He fosters relationships and a deep sense of community in his classes so that all people know that they belong. Jason brings so much positivity to his classes and personal training, that you will not only be sweating and getting stronger, but you will also be smiling. Jason recognizes that everyone come into the gym with a desire to be better and his mission is inspire each person to reach higher than they imagined.